Designed for the time between a high chair and a regular chair. Ideal for use at home or for taking out and about to restaurants or for overnight stays. With extra strong adjustable straps and buckles, it can easily and safely be attached to any chair and won't slip or slide about. 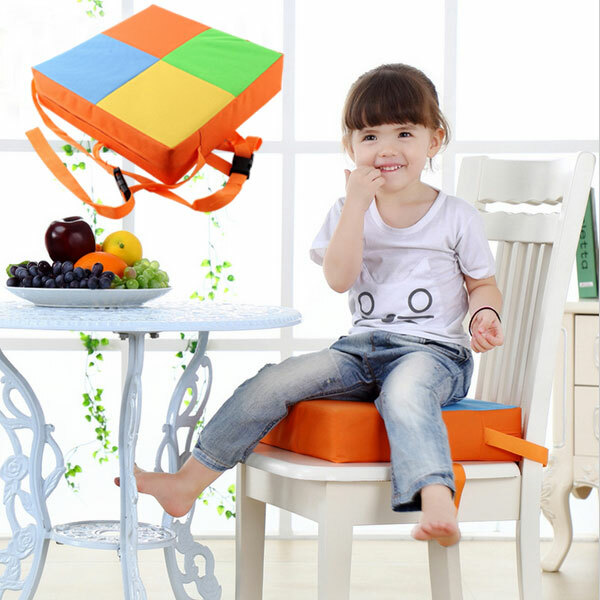 Durable synthetic cover and soft sponge will give a comfortable feeling. Training children sit by themselves. *Due to the difference between different monitors, the picture may not reflect the actual color of the item.